HUGE MARKDOWNS on All Floor Models! Exclusive Salt-Water Spas like No Other! The Only of its Kind in the World! Get a MUST-HAVE PV3 In-Floor cleaning system on your pool! Shop online & pick-up in-store! Schedule a Spa Valet Today! View our current special offers and promotions on pools and spas. From pools to spas we can create a backyard oasis you can only dream of, get a quote from a design professional today! We are Houston’s premier custom pool builder providing people with their dream backyard oasis. 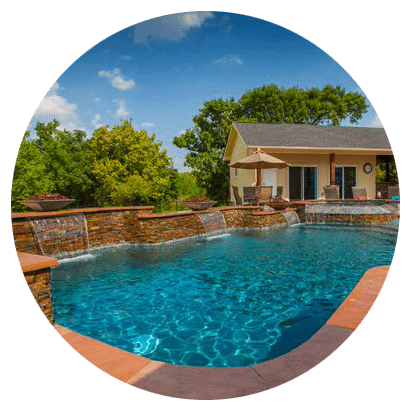 Richard’s Total Backyard Solutions is a Custom Pool Builder providing people with swimming pools in Houston, TX. serving the Greater Houston area. We have been doing business since 1987 and our experience and attention to detail shows it. In addition to extensive Houston swimming pool services, we can handle Commercial Pool projects, and we also offer Pool Remodeling and Renovation Services to help refresh an existing pool in Houston, Katy, and other surrounding areas. Whether you need a swimming pool in Katy, Houston or any surrounding area, we can assist. If you’re looking for a new beautiful pool then you’ve come to the right swimming pool builders in Houston. View our showcase of custom swimming pools, spas, and outdoor living spaces. At Richard’s Total Backyard Solutions, we turn regular backyards into swimming pool oasis! Whether you want simple and budget-friendly or exotic and unique, Richard’s can make your swimming pool visions come true. We have over 30 years of experience in designing, building, and landscaping custom swimming pools. Best pool builders Houston for a reason. 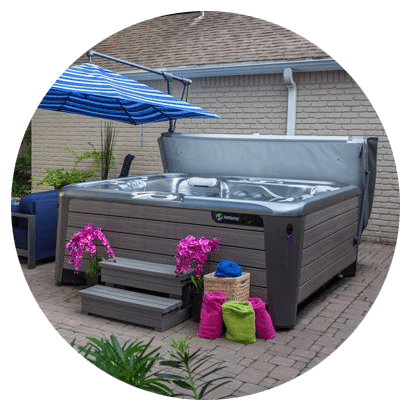 We enjoy building and installing hot tubs and spas because they provide our customers the opportunity to escape the physical and mental stresses of everyday life. Our hot tubs allow people to relax, relieve their aches and pains, and help them sleep better. At Richard’s TBS we know our products help individuals lead healthier happier lives! Find inspiration here for your new backyard living space, or ideas for upgrading your existing backyard paradise. 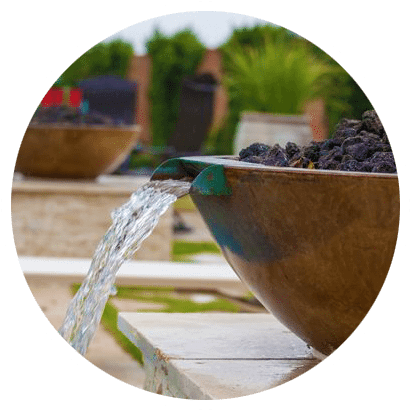 Let our experience serve as a guide and point you in a creative direction for your custom swimming pool, custom hot tub, spa, or outdoor kitchen. Best Spring TX pool builders for a reason! Tired of your old or outdated pool? Make it beautiful again with Richard’s Total Backyard Solutions! 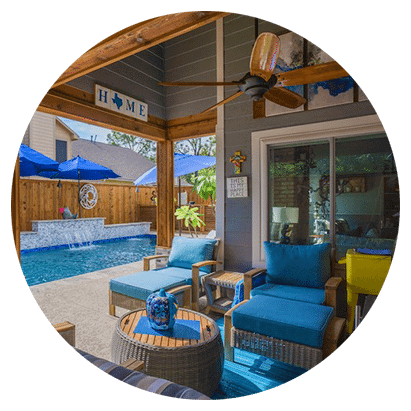 We have been in the pool renovation business for over 25 years, and in that time we have proudly served our customers in greater Houston and Katy. Richard’s TBS is a family-owned pool contractor that specializes in individualized pool contractor solutions, including renovations. At Richard’s Total Backyard Solutions, we turn regular backyards into swimming pool oasis! Whether you want simple and budget-friendly or exotic and unique, Richard’s can make your swimming pool visions come true. We have over 30 years of experience in designing, building, and landscaping custom swimming pools. Find inspiration here for your new backyard living space, or ideas for upgrading your existing backyard paradise. Let our experience serve as a guide and point you in a creative direction for your custom swimming pool, custom hot tub, spa, or outdoor kitchen.